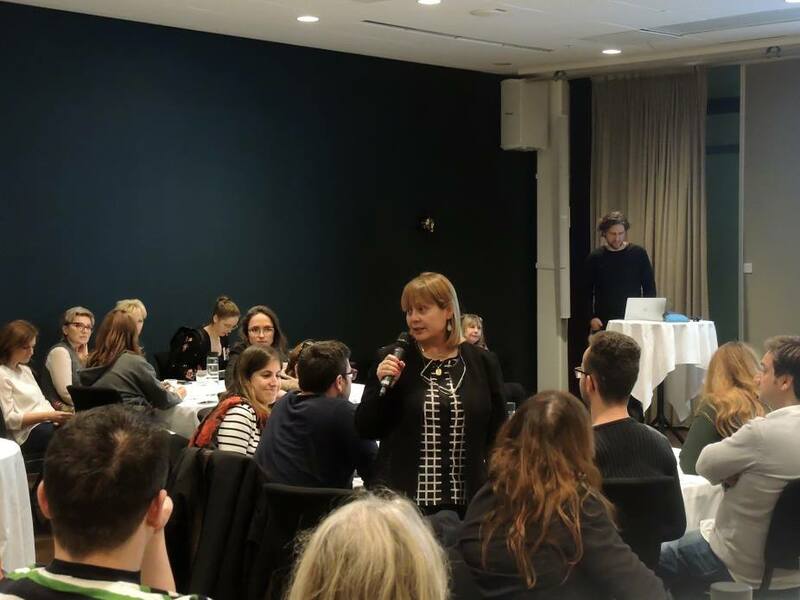 29 November 2017 // European IF members and Spina Bifida clinicians exchanged knowledge in Stockholm for IF’s European Workshop from the 25th-26th of November. The workshop took place in conjunction with IF’s 2017 General Assembly. The objectives of the workshop were to advance work on mental health and wellbeing of adults with SBH, learn about the Swedish approaches to Spina Bifida care, outline activities from 2017, and introduce the work plan for 2018. The European Spina Bifida clinicians came together in Stockholm to discuss closer involvement in the European Reference Network ITHACA, to learn from each other, and to establish closer relationships with the IF members. On Saturday, IF members and clinicians had the chance to visit the impressive Spinalis Rehabilitation Centre in Stockholm. The Spinalis Foundation opened their new premises this summer and we had the chance to get a look at the renovated buildings while we were there. The visit was prepared in close cooperation with our member Spin-Off in Sweden. We learned that all the rooms had built in advanced technology which should benefit people with Spina Bifida and with spinal cord injuries on a daily basis. Furthermore, they kindly introduced us to their daily work programme of training, treatments and research. We highly appreciate Spinalis’ excellent work and innovative ideas that stand out as a good example for all of us. The General Assembly also took place on Saturday, and we are happy to announce IF Board Member Elena Zappoli from APEBI, Argentina, has been re-elected and will remain on the IF Board for the next three years. We are very grateful that Elena will be able to continue to work closely with IF on its regional strategy for the Latin American region! The IF Youth Group also met during the conference to agree on their work plan for 2018 and establish working procedures. On Sunday, they contributed with an interesting debate session, and we look forward to see this activity take place at the European Parliament on December 6, during the 4th European Parliament of Persons with Disabilities (EPPD). IF would like to thank all the participants for their full engagement throughout the workshop’s sessions and meetings. It was a pleasure to work with you and we highly value that you took the time to join us and to contribute! Feel free to take a look at the activities here. We hope to see you again at the next IF European Workshop in Sofia, Bulgaria, in 2018.